A blog by Ross Devine, head of technical support. I’m sure that you’ll all of heard about the outbreak of the ransomware WannaCry which was widely reported in the UK media due to the devastating effect it had on parts of the NHS. This Ransomware was propagated via a vulnerability that was patched out by Microsoft back in March. We completely understand that patching has typically been regarded as a bothersome task that people would rather put off until tomorrow. 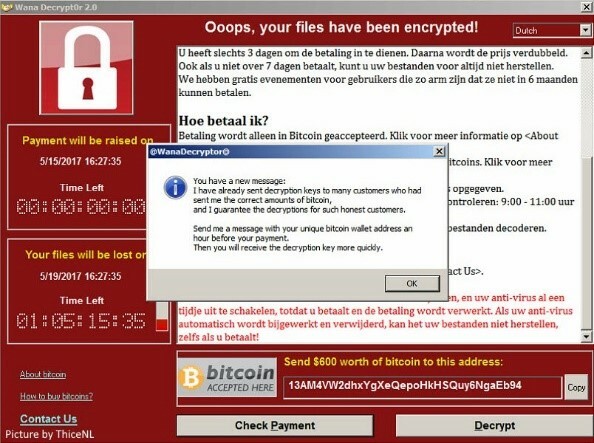 Hindsight, however, is all good but had the organisations and bodies kept up to date with their server and client patching they would not have suffered at the hands of the criminals that released this Ransomware into the wild. This outbreak has shown us all that patching, no matter how mundane, should be placed at the core of our security plans rather than at the periphery. We advise all of our customers and businesses, in general, moving forward, to review their update schedules. For all our customers that take Proactive Support, this is a task that we will be happy to assist with where required. What this has done is thrust the importance of server patching for any organisation, or end user’s IT systems into the public consciousness, no doubt the next time you have an outage your MD or end user will be asking if the servers have been patched, what will your answer be?